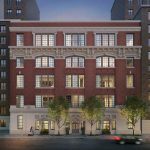 Surrounded by magnificent brownstones along tree-lined streets, Brooklyn is about to welcome a new ground-up condominium to Carroll Gardens, one of the borough’s most treasured neighborhoods. 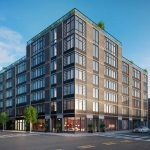 Designed to fit contextually with its surroundings, 345 Carroll Street will introduce a new level of service and amenities to this charming neighborhood. 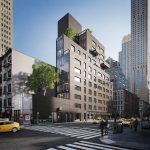 Bringing its award-wining architectural design to its first Brooklyn development, Manhattan-based architecture firm GLUCK+ has designed a five-story condominium adorned with a distinctive bluestone and glass façade. 345 Carroll Street’s welcoming lobby will feature floor-to-ceiling glass on both sides, giving the indoor space a unique connection to both the street and rear courtyard. 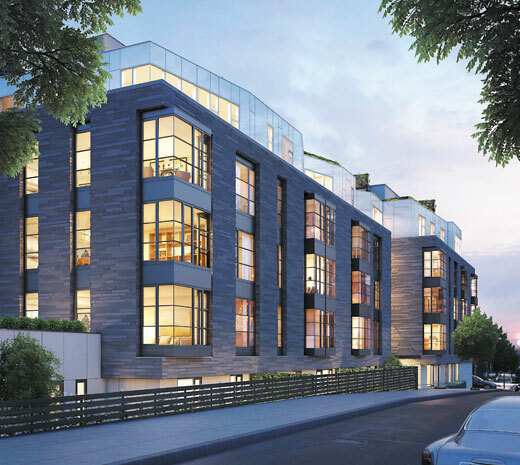 345 Carroll Street’s rich design is also captured in its 32 custom-crafted residences, ranging from two-to-four bedrooms, including seven penthouse residences and six garden duplex residences. Many of the apartments are corner units with multiple exposures offering views both up and down Carroll Street. 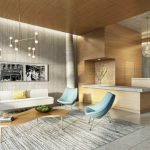 Residences will feature rift-sawn white oak floors, custom kitchen cabinets with wood panel doors that have elegantly thin reveals and integrated pulls. Master bathrooms feature marble countertops and walls, double vanities, separate oversized showers and radiant heated floors. One of the most appealing features of the building is its expansive landscaped courtyard and private gardens designed by GLUCK+. The expansive courtyard features a pastoral wildflower meadow with reading nooks, edible herb and culinary gardens, vegetable plots and a bocce ball court. Indoor amenities include a children’s playroom, fitness center, bike storage, a dog washing station and private storage for every home. 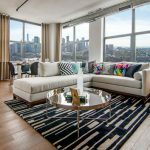 Additionally, the condominium will offer a finished rooftop, entertaining and lounging areas, as well as available private cabanas.